Labour peer Paul Drayson has shifted work for his personal public relations and expanding wireless power transfer business to Bell Pottinger. The agency will seek to build the profile of the recently launched Drayson Wireless Technologies, a development of the peer’s automotive-focused Drayson Racing Technologies. Formerly with automotive specialists Influence Associates, the brief will be led by Will Powell, who left the agency to join Bell Pottinger as a partner at the start of the year. Powell said: "A big part of the business before was demonstrating wireless power transfer for electric cars, but that is now being applied to sectors such as healthcare and engineering and the work is essentially about explaining the potential of the technology. It is embryonic but has the potential to do what wireless did for telecoms 20 years ago." Drayson Racing Technologies will now form one part of the broader Drayson Wireless Technologies remit, offering wireless charging. The brief will encapsulate communications across the consumer and b2b sectors, with public affairs, City and corporate elements also important as the business seeks to engage with government policy and attract investment. 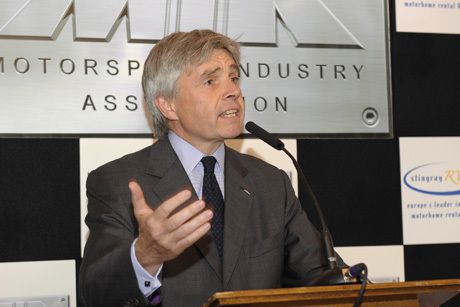 Of the personal PR element for car racing enthusiast Lord Drayson, a minister during the last Labour government who initially made his name co-founding a pharmaceuticals company, Powell added: "We will also seek to reposition Lord Drayson not as a Labour peer or racing driver but as a businessman with a track record of success."